SFGE is hosting a CATAN Regional Qualifier. The winner at SFGE will be flown to Origins Game Fair 2018 (June 13 – 17, 2018) to compete for the National Championship. SFGE covers your flight and Catan is covering your shared hotel, tickets to Origins, and a banquet dinner in honor of all the Regional Champions! For a complete list of the rules, please click on the link below. Please note that the semi-finals and finals take place Saturday, so if you participate in Friday’s prelims you must have a SFGE Saturday membership if you make the semi-finals. SFGE will host 3 sets of prelims. Players that were unsatisfied with their score in one preliminary may return to compete in any or all of your other preliminary groups. After all games in the preliminaries have been completed, SFGE will rank the players based on all scores from all the preliminary groups, the top 16 players will move to the next level grouping – the semi-finals. The top 16 players will play 4 separate games (4-players per table). Each table plays 1 game of Catan. The winner of each of these 4 games advances to the finals. The 4 semi-final winners advance to the finals. 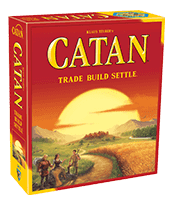 They play a single game of Catan, and the winner of that final game is knighted and gets sent to the 2018 CUSC held at Origins Game Fair in Columbus, Ohio. We knew you would be. You can win a trip to Origins and so much more. As we plan the event we want to keep you in the know so please complete the form below so we can advise you of the scheduled event times and additional details. Prelims will be held on Friday evening June 9th and Saturday morning June 10th. Semi-Finals and Finals will take place on June 10th in the afternoon. We are happy to be working with Meeple Madness on this event. 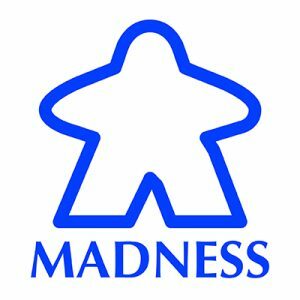 Meeple Madness is tabletop game and hobby center located in Braselton, GA at 7400 Spout Springs Rd (Suite 205), on the corner of Spout Springs Rd. and Thompson Mill Rd in Braselton, GA. They offer a family-friendly place to play your favorite tabletop games like Happy Salmon, Star Wars: Destiny, Magic: the Gathering, Dungeons & Dragons, and miniature gaming. If you’re looking for a great place to get unplugged, Meeple Madness is the place for you. Their space includes ten full-sized tables for miniature wargames, as well as several smaller tables for board games. Both their bathrooms are wheelchair accessible and feature diaper changing stations for their youngest customers. For miniature gamers, they provide a wide variety of terrain pieces and battle mats, allowing you to tailor your gaming experience while you’re spending time in their store, and have rules advisors and game experts available to help you learn new games. They also have a modeling area for assembling, customizing, and painting your models. What’s more, they also provide store copies of the most popular rule books and games. Their board game demonstration library has over 400 titles, from classics like Carcassonne to newer games like Scythe and Star Wars: Destiny. They open Monday – Saturday at noon. Their doors close at 10:00 pm on weeknights, and midnight on Friday and Saturday. Make sure to check them out!